Tips to guide students about CTET 2014 Preparation, killer ideas for effective preparation of Central Teachers Eligibility Test, How to prepare for CTET 2014. Here we bring some tips for the preparation of this compulsory test, By following these tips during your preparation, you will surely crack the exam in your first effort. The passing certificate of CTET test is required for getting job in any school run by CBSE like – NVS, KVS , DAV schools etc. This is the biggest eligibility tests conduct every year in India for teachers job and lacs of students applied for the test. As we all knows now candidates has applied for the CTET 2014 and searching for the ideas to prepare for CTET 2014. So to help you i have listed some effective tips for the preparation of the compulsory eligibility test. For preparing any exam you need first the syllabus from with the question will asked in the exam. So it is essential to find right syllabus and pattern, You can search on web for it, on various education sites it will be available. After that consult about the syllabus with your friends and teachers, schedule your timing that how much time you have to spend on a particular topic. For preparing the exam successfully do not confused between the multiple authors books. Buy or borrow some good publications book and start preparation. here are some example of books you can follow to pass the exam CBSE CTET Exam Books, CTET English Language Preparation Book, CTET Hindi Language Preparation Book, CTET Science Book, CTET Social Science Book. So read good books for exam clearance. Most of the time the students get puzzled and try to learn new things in last days of exam, So concentrate on things you already learned well and revise them, do not learn new things. This is the most effective way to clear the exam, solve the question papers of last few years. By Solving these papers your timing will improve and you will aware about the nature of the question papers. Instead of reading the objective type questions only, read the whole text. In the books before the questions, the whole literature of the lesson is given. Read the things attentively. The things read in that way stay in your mind longer. Keep reading the things with interest and may be you’ll find some material in the exam from here. These are the tips that will ensurely boost your confidence and will help in the cracking exam. honestly not too much prepartion required for the exam clearance and dont take it as a burden. Just revise the things you have learnt in your past study. 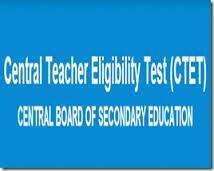 best of luck for your CTET 2014.